Rehabilitation of the motor system is a systematic approach to restoring function. The aim is to facilitate recovery from injury, prevent recurrences, and to enhance performance. Rehabilitation is part of the continuum of care bridging the gap between pain management and athletic development. Musculoskeletal problems are often viewed from a local perspective. 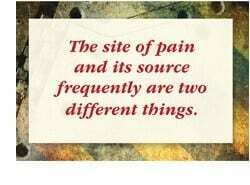 However, the site of pain and it’s source are often two different things. It is the source of biomechanical overload that we are looking for when we examine a patient (Kibler). 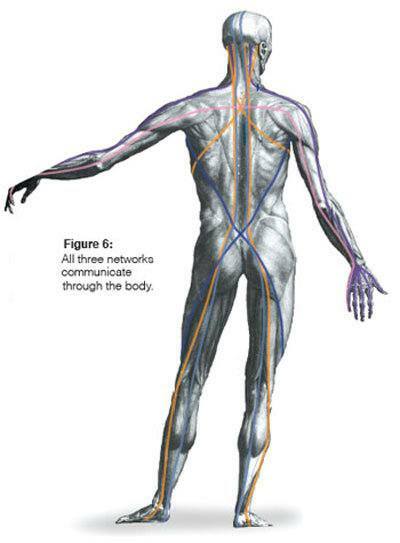 The body should be viewed as a kinetic CHAIN with regional interdependence (Wainner). For example, an impairment in the feet may predispose to knee, hip, or back injury. 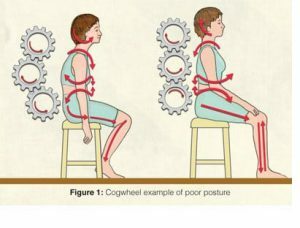 Along these same lines, an impairment in trunk posture, such as loss of thoracic or hip extension mobility, may predispose to shoulder, neck, or back pain (Fig. 1). Many times, rehabilitation is often misconstrued in simplistic terms as building strength of flexibility. The real goal of rehabilitation is reducing activity intolerances. In this case, activity refers to the patient’s daily movements and movement goals, which may be compromised and painful due to a musculoskeletal problem. In order to reduce activity intolerances, we must achieve enough functional capacity to provide a stability margin of error during one’s daily movements, including occupational demands, sports, and recreational activities. In order to build activity tolerance the key is increase functional capacity. Functional capacity should exceed the physiological demands or stress of one’s home, sport or work activities. If there is a capacity shortfall then injury or pain will be the end result. Functional capacity includes first and foremost establishing stability. If a joint is unstable then injury risk will be heightened. A stable joint is one where the muscles are able to handle the various forms of strain typically encountered. Stability results from skilled movement. Poor movement patterns are easily recognized by virtue of the de-centration of relevant joints during movement. For instance, excessive shrugging of the shoulders during arm abduction which would predispose to subacromial impingement (Smith). Stability and mobility go hand in hand. Often stiff joints or tight muscles alter movement patterns so that instability results. For instance, if there is a loss of posterior hip flexibility/mobility it will not be possible to avoid end-range lumbar spine flexion during a deep squat. When we evaluate the kinetic CHAIN it becomes apparent that certain areas have a greater stability need, whereas others a greater mobility need. In the two examples mentioned above stiffness is a typical problem for the thoracic spine and the hip, whereas the scapulo-humeral and lumbar spine joints have a tendency to become unstable. Another joint where instability is the hallmark would be the knee. This is a notorious joint for being injured without any trauma occurring. Think of the non-contact ACL injury which is an epidemic amongst female athletes. 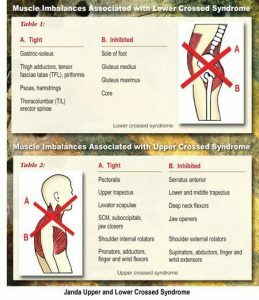 When we take a step back and see that each area of the body has it’s own unique tendency to either become stiff or unstable this helps in our clinical planning (McGill). This has been termed the “joint by joint approach” (Boyle). The pillars of this paradigm come from Dr. Janda’s muscle imbalance theory which showed that certain muscles have a tendency to become inhibited whereas others hypertonic. Predictable muscle imbalances are present throughout the body. This discovery was made possible by the fact that in paralytic conditions such as stroke or spinal cord injury certain muscles were typically paralyzed and in spastic conditions a different set of muscles found to be in contracture (Janda). This is designed to enhance survival and it turns out the same tendencies are present in the healthy population simply to a lesser degree.This chapter will elaborate on the “rules of the road” for a rehabilitation specialist.